Holding on to hope is hard enough, how do you do it when life has given you a child who is less...typical? 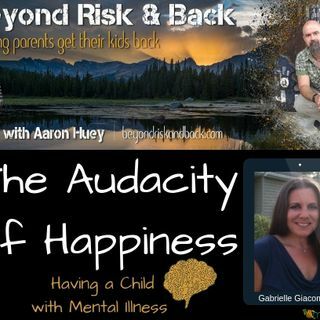 Host Aaron Huey interviews Gabrielle Giacomazzo about her life, path and experience with her daughter. Gabrielle Giacomazzo is a mental health advocate who aims to help reduce the stigma of mental health issues with children. As the mother of two young girls, one of whom has a mental health disorder, she understands firsthand the impact that mental illness can have on a family. ... See More Gabrielle takes every opportunity to create community conversations in an effort to fight the stigma of mental illness.